Alan and the surrounding area is a locality of wide mountain pastures, karst valleys, and slopes with picturesque peaks towering above. 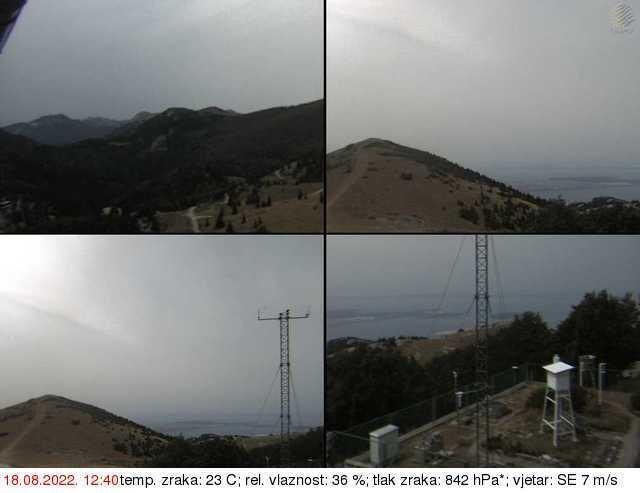 Veliki Alan (1414 m above seal level) is one of the most important Velebit passes over which runs the vertical mountain road that connects Lika with the Adriatic coast. At the foot of the Alančić peak lies the Mountain Hut Alan. Located at the edge of the forest close to the road, Alan commands a stunning view of the sea and the islands. In the immediate vicinity of Alan is the locality called Mirovo. Once a summer mountain settlement, Mirovo is today just another Velebit grassland with visible remains of stone walls and old shepherd’s summer huts. In the past, Mirovo was one of the largest seasonal settlements on Velebit as testified by the remains of numerous stone huts, animal shelters, drystone walls and rainwater cisterns. Alan is a good point of departure for mountaineering tours of Velebit. It can be easily reached by paved road from the direction of Jablanac or by dirt (macadam) road from the direction of Begovača. The derelict ropeway that was used for transporting logs from Velebit, running from Alan to the Stinica cove on the Adriatic coast, is something of a monument to human absurdity. It was built under horrendous conditions by political prisoners of the Goli Otok penitentiary. Underused and economically unsustainable, it remained in operation for only a couple of years.